The vocal chamber music and accompaniment curriculum focuses on training Lied pianists, piano accompanists and repetiteurs. It also coordinates cooperation between students from various departments of the academy. Piano students at master’s level are welcome to participate in a specialist accompaniment class. Renewed forms and methods of academic activity allow students to acquire practical skills and teamwork experience, collaborating with vocal and instrumental soloists, conductors and the Opera Studio. The development of the activities of Lied duos plays an important role in the work of the centre. The output of the cooperation between pianists and singers includes annual Lied duo competitions and public concerts. A new concert series Poetry in Music has been launched in cooperation with the Concert and Performance Centre, which brings together students studying piano, singing and dramatic art. Students also actively perform in the Student Tuesday concert series. Daily academic activity is given further variety by master classes, specialist internships, workshops, colloquia, academic concerts and much more. A new course for opera training was launched in autumn 2016in cooperation with the Estonian National Opera House. The curriculum promotes relations with the respective departments at other European universities and with graduates of EAMT’s Accompaniment major working both in Estonia and abroad. In supervising students and setting requirements for them, the faculty members take into account their individuality, interests and initiative in choosing their own direction for development. 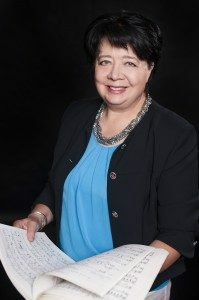 Current head of studies Helin Kapten is a highly valued pianist, accompanist, pedagogue and coach, who has previously worked with many distinguished Estonian singers.